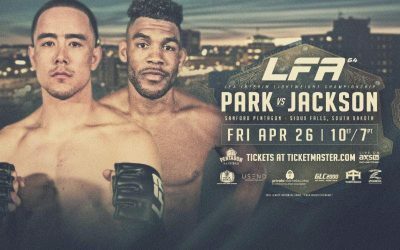 With UFC and Bellator MMA taking a week off, the Legacy Fighting Alliance steps up to the plate as the biggest show stateside this weekend. The lineup features several promising prospects, including headliners Matthew Frincu and Curtis Millender. However, it’s likely that most eyes will be focused predominantly on Mackenzie Dern’s fourth trip to the cage. Dern, a world-class grappler, continues her MMA campaign when she meets Mandy Polk on Friday night. Dern is a jiu-jitsu world champion who currently sits atop the rankings of female grapplers in the sport of jiu-jitsu. She holds an ADCC title, and she defeated Gabrielle Garcia during her quest for the open weight championship. Dern’s pro MMA career kicked off with a dominant victory over Kenia Rosas at Legacy FC 58 in July 2016. Dern won the fight by unanimous decision, but she wasn’t able to get a finish against the extremely durable 19-year-old Rosas. The 24-year-old found the submission in her sophomore outing against Montana Stewart at Legacy FC 61 in October 2016, but she was forced to go the distance once again in her most recent fight, a March encounter with Katherine Roy. The MMA Lab fighter is probably thankful that the UFC has added a flyweight division. She’ll move up to 125 pounds for this affair. Polk hasn’t had the easiest of rides in her young professional career, but the 32-year-old does have some notable names on her resume, albeit in losses. “MissDemeanor” was knocked out in her debut showing against Rebecca Ruth in 2014. She didn’t fare much better when she returned two months later against a debuting Stephanie Alba. 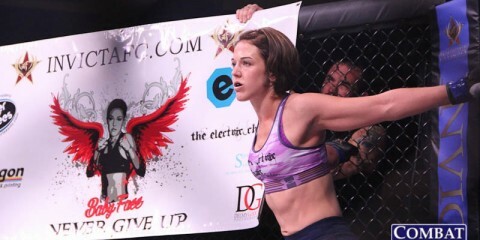 Polk finally put together a three-fight winning streak against inferior competition before again stepping up in her most recent outing to fight Katy Collins at Resurrection Fighting Alliance 46 in December. Collins, like Ruth, was able to finish Polk via strikes. Dern went the distance with Rosas, but it wasn’t for lack of trying. The Brazilian Jiu-Jitsu black belt attempted armbars and toeholds to no avail. Stewart, meanwhile, couldn’t escape a rear-naked choke locked in by the Arizona native in the first frame. Roy was able to go three rounds with the jiu-jitsu ace, though. This spotlights Dern’s inability to finish her submission attempts in the cage. Perhaps she’s been too aggressive and needs to simply slow down and work on securing positions first. However, Rosas proved durable enough to even outlast some cringe-worthy torquing of her arms by Dern. So, maybe Dern has just run into some very tough outs in her first three fights. Dern could benefit from a little stand-up experience while in there with Polk, whose biggest weakness appears to be her chin. Yet, it’s difficult to envision Dern doing anything other than trying to tie her opponent in knots. Dern should come out with another victory here, but the real question is whether she can get the finish. Given Polk’s rather thin combat-sports background, it’s quite possible the Tennessee-based fighter starts tapping before the end of the first round. Absolute Championship Berkut is venturing overseas once more. This time, the promotion touches down in Montreal for its 72nd event. The top of the bill belongs to two of the best flyweights who are not currently employed by the UFC. Zach Makovsky is the more familiar name, thanks to his lengthy runs in Bellator and the UFC. Makovsky will provide a huge test for Yoni Sherbatov, the No. 2 seed in The Ultimate Fighter 24 flyweight competition. Makovsky has a strong wrestling background that led him to a bantamweight title under the Bellator banner and a flyweight championship in the RFA. He signed with the UFC and made his Octagon debut in 2013. After picking up wins over Scott Jorgensen and Josh Sampo, Makovsky was inserted into the title mix. Unfortunately, he didn’t fare well. 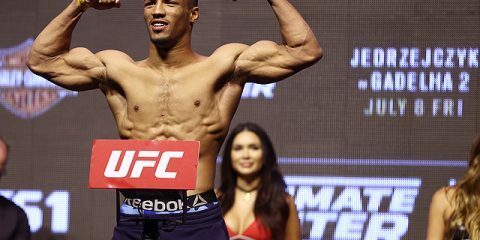 The Tristar product dropped unanimous decisions to Jussier “Formiga” da Silva, John Dodson and Joseph Benavidez and added a split-decision loss against Dustin Ortiz. In between his defeats, Makovsky did pick up an additional victory over Tim Elliott. With the loss to Ortiz, Makovsky was on a three-fight skid that propelled him right out of the UFC organization. 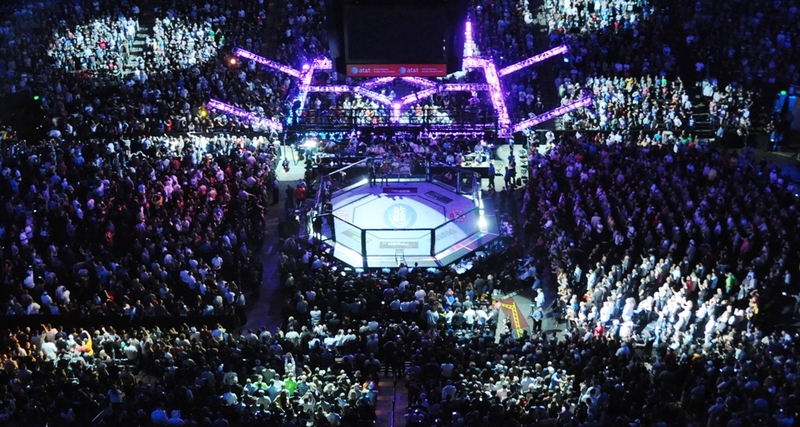 The 34-year-old landed in ACB, where he has already notched a submission win over Josiel Silva. Despite his lack of recent luck, Makovsky is still a legitimate top-20 flyweight. Sherbatov’s biggest claim to fame is his stint on the TUF reality show, where he proved to be a bust. He entered as the No. 2 seed, but exited the tournament quickly courtesy of No. 15 seed Eric Shelton, who submitted Sherbatov in the second round of their fight. The Russian-born, Canadian-based fighter has stuck to the Canadian circuit for most of his young career. After two false starts where his opponent was yanked, Sherbatov finally made his pro debut in 2014 with a 22-second finish of fellow rookie Gabe Sagman. 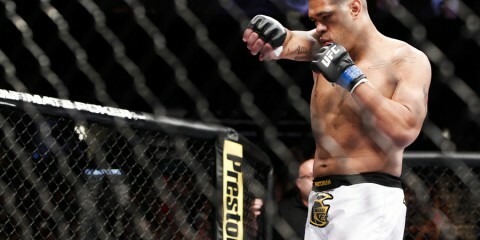 He continued his winning ways with three more quick stoppages and one decision nod. 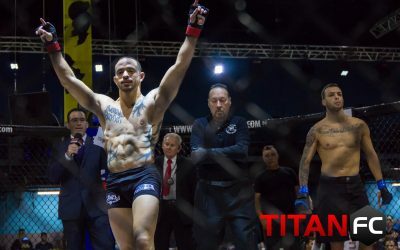 Sherbatov fought to a draw when he faced veteran Tyson Nam in April 2016, but he rebounded with another lightning-quick finish in February when he demolished veteran journeyman Martin Sandoval. Makovsky’s pressing style of wrestling has led to some grinding affairs, but he has also submitted seven opponents (and lost via submission on three occasions). With the backing of Tristar, Makovsky would appear to be the clear favorite here. He has the experience and the skills to get the job done. All he has to do is avoid Sherbatov’s quick start. This bout goes one of two ways: either Sherbatov charges out of the gates and drops Makovsky in the first two minutes, or Makovsky uses his wrestling and grappling skills to control and win this fight. Sherbatov’s loss to Shelton is a red flag for the upstart. 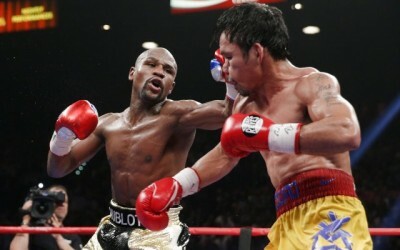 The Canadian-based fighter met a group of opponents with a combined 45-28 mark and blew them all away. However, the best records among those opponents were Nam’s 14-8 and Adrian Wooley’s 9-4. The 29-year-old fared much worse when faced with the 10-2 Shelton. If Shelton could submit Sherbatov, Makovsky can as well. 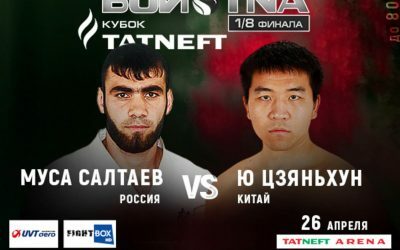 If Makovsky and Sherbatov don’t provide flyweight fans with enough non-UFC action this week, then those fans can turn to Shooto, where another member of The Ultimate Fighter 24 cast seeks to defend his flyweight title. Hiromasa Ogikubo, the No. 5 seed and eventual runner-up on TUF 24, clashes with challenger Tadaaki Yamamoto in one of the featured title bouts on this weekend’s Shooto card. It’s surprising that Ogikubo wasn’t retained by the UFC. 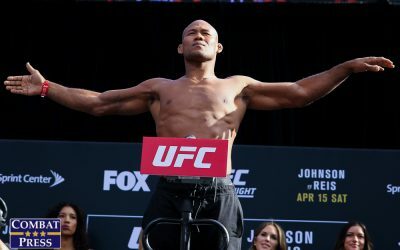 On TUF 24, the scrappy Japanese fighter submitted Nkazimulo Zulu and decisioned Adam Antolin and Alexandre Pantoja to advance to the finals, where he came up short in a decision loss to Tim Elliott. While it would seem like a no-brainer for Ogikubo to join the UFC ranks, he instead returned to Japan and the Shooto organization. The 30-year-old started competing in 2006 and has won the Shooto Rookie Tournament and a Shooto Pacific Rim title in addition to his current Shooto strap. A talented grinder, Ogikubo has claimed 10 decision wins while only submitting five foes and knocking out one opponent. His only career losses came against the solid trio of Koetsu Okazaki, Eduardo Dantas and Kyoji Horiguchi. Meanwhile, he holds notable wins over the aforementioned Okazaki, Takeshi Kasugai, Czar Sklavos and Danny Martinez. The 31-year-old Yamamoto can’t really compare when it comes to experience and the big stage, but that might have to do with the fact that he’s spent parts of his career competing as a strawweight. “Onibozu” debuted in 2009 and went 8-1-2 through his first 11 outings. In 2012, he suffered his second career defeat when he was edged on the scorecards by Yuki Shojo. Yamamoto rebounded with a win, but 0-6-1 over his next seven fights against varying levels of competition. 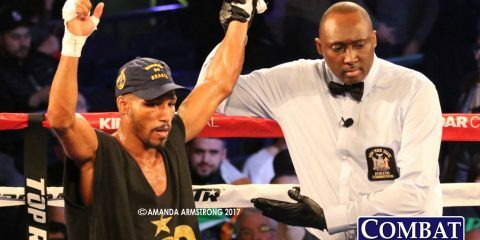 The Gonz Gym export finally found his footing again in late 2015 and has now rattled off six straight wins, including two first-round knockouts. However, only his most recent adversary, Hayato Ishii, sported a truly head-turning record. Yamamoto’s upset victory over Ishii was enough to earn the veteran a shot at Ogikubo, but the champ isn’t going to be an easy challenge for Yamamoto to overcome. The challenger does have a slightly more balanced record — four knockouts and four submissions to go along with seven decision victories — but he’s never fought someone with the skills that Ogikubo brings to the cage. 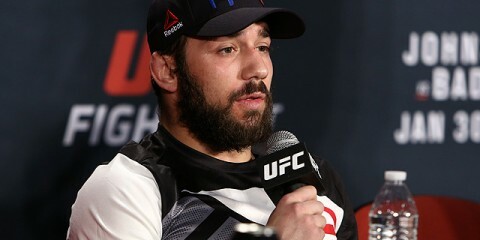 The TUF alum should control the action with clinch work and takedowns, while also looking for submissions. Yamamoto has a knack for keeping fights close, but Ogikubo isn’t his average opponent. After Ogikubo’s success in the TUF tournament and in the return to his native shores, it seems unlikely that he’d be unseated as the champion by a mediocre journeyman like Yamamoto. Even size is working against the challenge in this one. Ogikubo’s probably not going to produce a finish here, but he should easily sway the judges with his efforts against Yamamoto.